Paul R. Fetters came to Huntington as a student in 1951 and graduated in 1955 with a BA, in 1959 received a B.D. from Huntington College Theological Seminary, in 1969 earned a Master of Divinity from Eastern Baptist Theological Seminary, Philadelphia, PA., in 1975 a M.S. in Educational Counseling from St. Francis College, Fort Wayne, IN., in 1980 the D. Min. from Fuller Theological Seminary, Pasadena, CA. He was awarded the D.D, Huntington College, 2003. 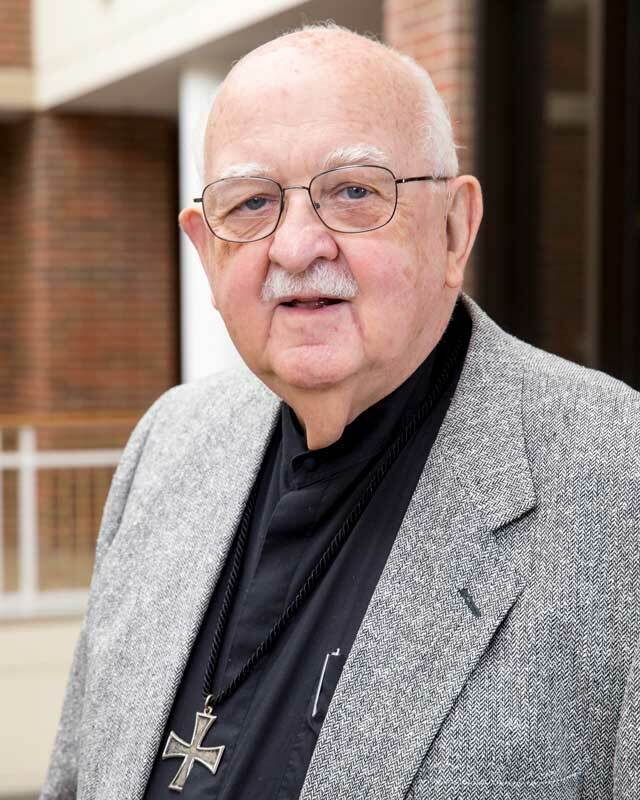 Dr. Fetters served as the Dean of Huntington University Graduate School of Christian Ministries from 1972-1997 and has authored numerous books and scholarly publications. Originally from Ohio, Fetters, an ordained minister, married Barbara E. Mull in 1956 and they have three sons who are also ordained ministers. Several of Dr. Fetters’ grandchildren have attended Huntington University. In the fall of 2009, the Paul R. Fetters Chapel, located in the basement of Livingston Hall, was dedicated in honor for his years of service to Huntington University and the Church of The United Brethren in Christ.